META-Vision Training - META-Health Academy. 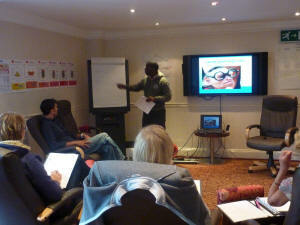 META-Vision Training - META-Health Academy. 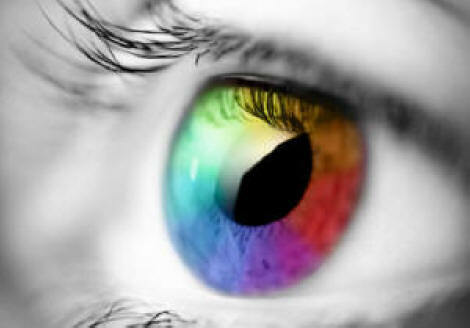 Are our eyes the window to our souls? Why do so many of us have vision issues such as long-sightedness, short-sightedness and astigmatism? What's the reason behind common eye conditions such as conjunctivitis, cataracts and glaucoma? How can we go beyond the physical to understand the mental, emotional and even spiritual reasons behind our visual disturbances? Join this inspiring and powerful course to gain the answers to these questions and much more! This advanced training programme will give you a broad and deep mind-body-social understanding of eye health. You'll discover the bio-logical meanings and reason behind many common eye conditions. You'll learn the emotional patterns and stressful life events that begin these issues, and the spiritual meanings behind them. This course is a must for all META-Health Practitioners and Trainers and those serious about developing a comprehensive and integrative understanding of eye health issues. Your trainer, Dr. Kwesi Anan Odum, META-Health Master Trainer and Ophthalmologist, will take you on an informative and wide-ranging journey, bringing together information from META-Health, modern medicine, natural approaches to vision improvement, Astromedicine, 64keys, Colour Psychology and other systems, as well as his own research and clinical experience. Each course participant will also gain a personal understanding of the hidden meaning behind your refractive error, eye condition or other health issue. I had always thought that my own sight loss was caused because of a proved genetic fault. Although I was open to and had been told by several very spiritual people that the genetics would have an emotional cause, and did not necessarily kick in. Dr. Kwesi took me through possible causes which I had not considered. It made sense as we talked about my feelings held very deeply before and at the time of my sight loss. I now understand that I am the author of my own life. I have lessons to learn from this situation. I create my own magic. It was brilliant – I loved it! Before the course, I knew that there was an emotional background to eye problems, but was not sure what to do about it. It was interesting to learn the connection between the Luscher colour test, and also the eye prescription numbers. The most interesting thing for me as a geneticist was realisation that our genes are not written in stone. Yes, I knew that before, but it was demonstrated with one of the participants who had a genetic eye disorder, and the way that Dr Kwesi showed how it was linked to certain events in her mum and grandmother. I had a BIG AHA moment. I really got to see epigenetics in action! It was truly a moment in my life I will not forget, it has changed me. The personal diagnosis was very interesting, I knew I created my eye issue, but the diagnosis hit the nail on the head, with what is going on in my life at the moment. So fantastic. I am going to use what I’ve learned with clients, when I have the need to do so. It will help with getting to the bottom of their emotional issues. For people with eye issues, it would change their whole perspective, of course they have to be ready to accept this information. Invaluable if they do. Doctor Kwesi Anan Odum, M.D. & Ophthamologist. He is an inspiring warm and friendly medical doctor with a degree from the University of Kiel, specialist in ophthalmology and psychosomatic medicine with 12 years private practice in Leverkusen and Berlin in Germany. He is an international expert in META-Health and the Eyes (META-Vision). Dr. Kwesi shares this new and groundbreaking information with warmth and compassion. 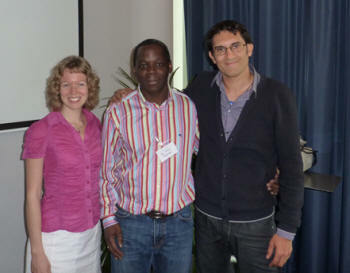 Dr. Kwesi is pictured right with META-Health Academy founders, Joanne Ross and Robert Waghmare. What's included in the META-Vision Training? Dates: 2018 dates for this course tbc. For more information or to register your interest please email via this link. Places are limited, so book early to secure your place. There are a limited number of refresher places available for previous participants. Pay by PayPal using the link below. Alternatively, contact us to pay direct or by cheque: email info@metahealthacademy.com or call us on 0845 838 6787. We look forward to seeing you on this inspiring course!